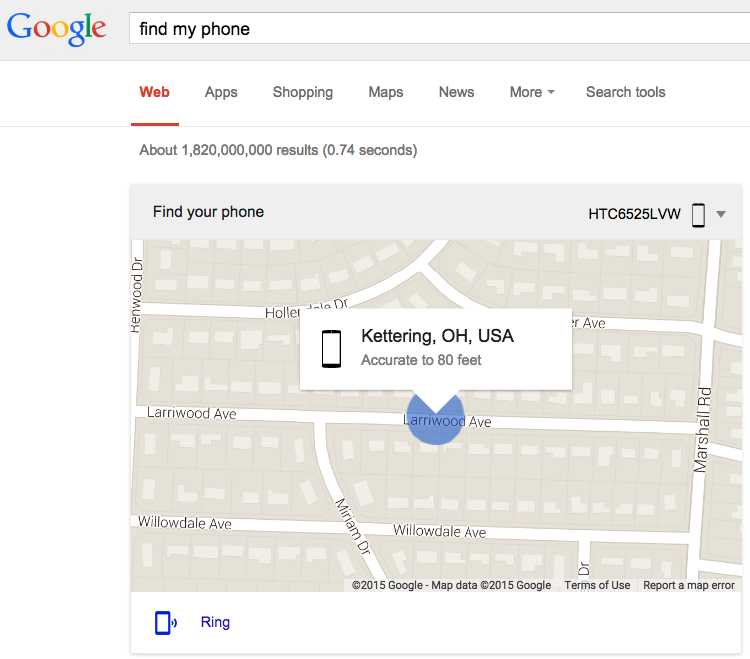 Google has made it even easier to find your misplaced Android phone. Just type "find my phone" into the Google search bar. After verifying your password, the search results show where your phone is currently located, assuming you've configured it properly, it's powered on, network connected, etc.. At the bottom of the map you have the option of having your phone ring. To paraphrase Star Wars .... "This is the Droid you're looking for".